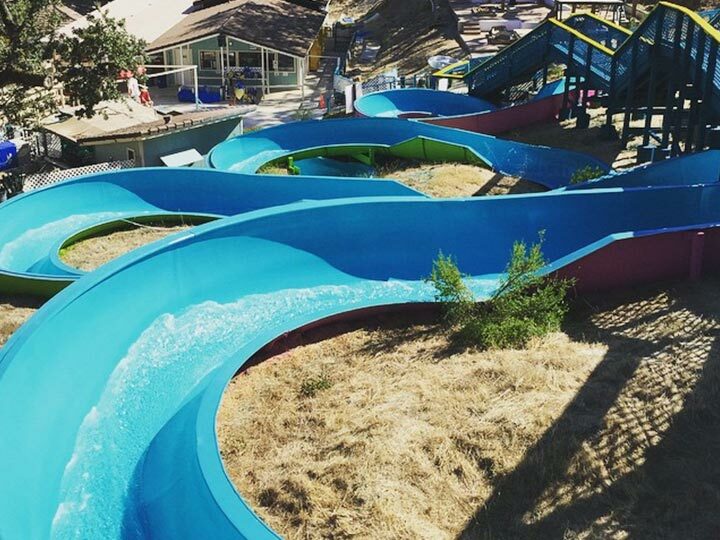 Ride the Awesome Stampede!!! 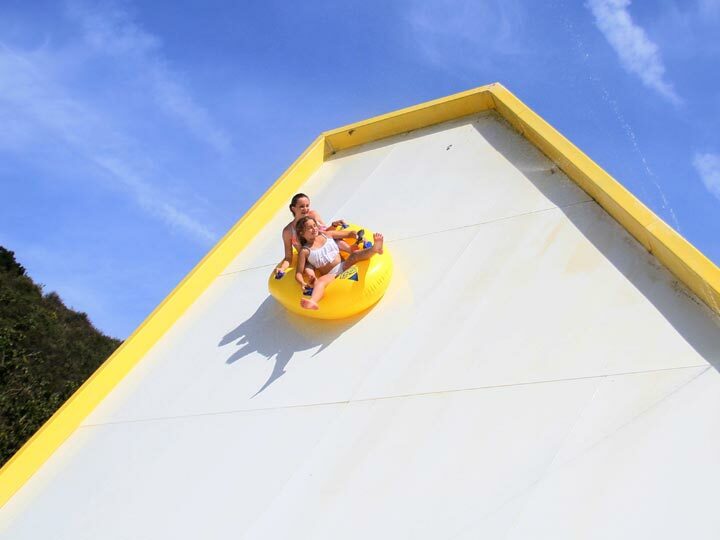 Plummet 38 feet down one side of the giant half-pipe in an inner tube, speed 38 feet up the other side, stop, then repeat this wild ride backwards! 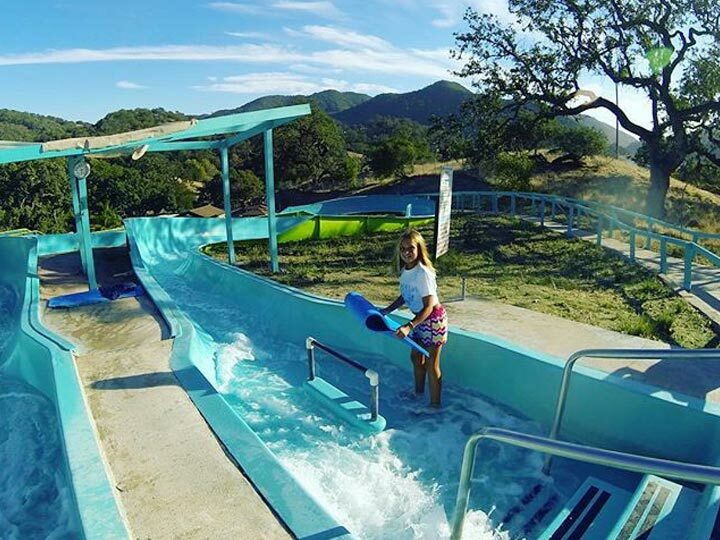 You can take this amazing ride solo, or go in a double tube with a buddy! 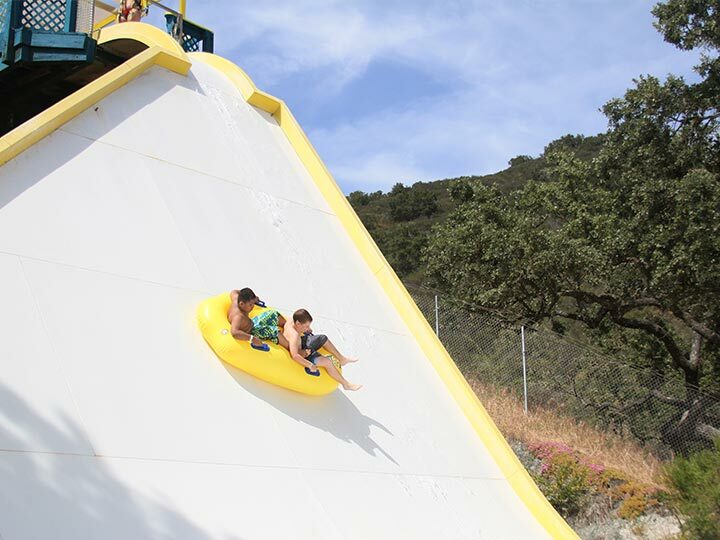 Two giant 600-foot curving waterslides that take you for an exciting trip from a hilltop overlooking Lopez Lake to splashdown in our catch pools at the bottom. 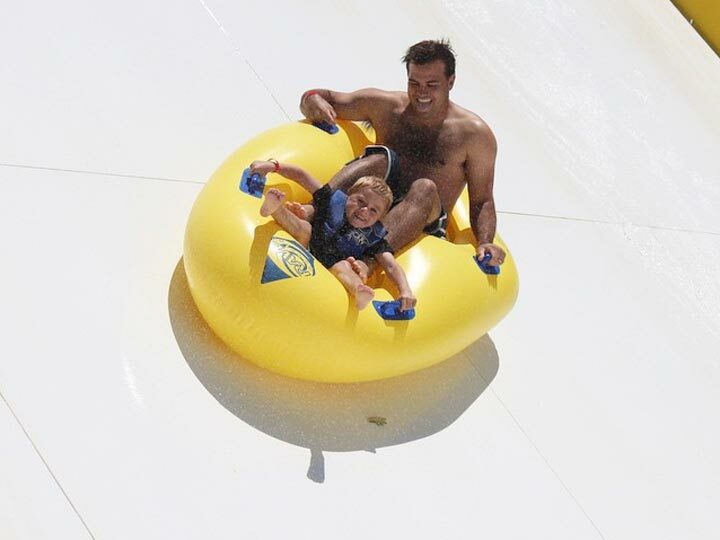 Our park has certified lifeguards at all times to ensure your family’s complete safety. 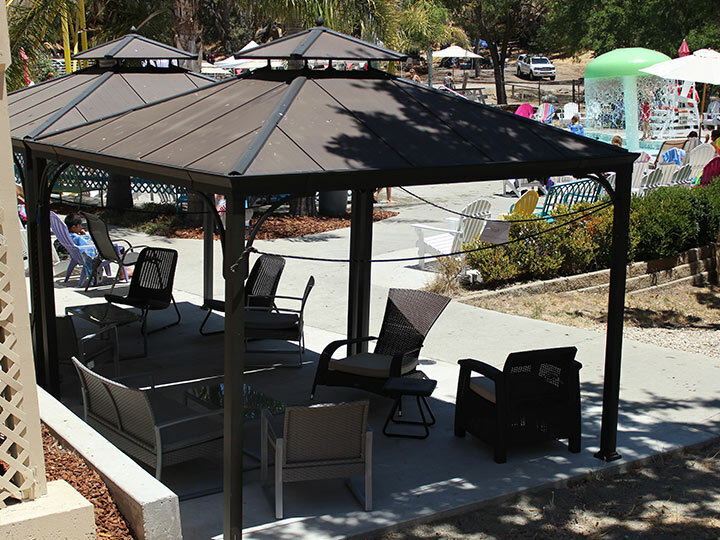 Clean and safe changing rooms, lockers & life jackets are available for your convenience.Picnic areas are available in the campground outside our gate. 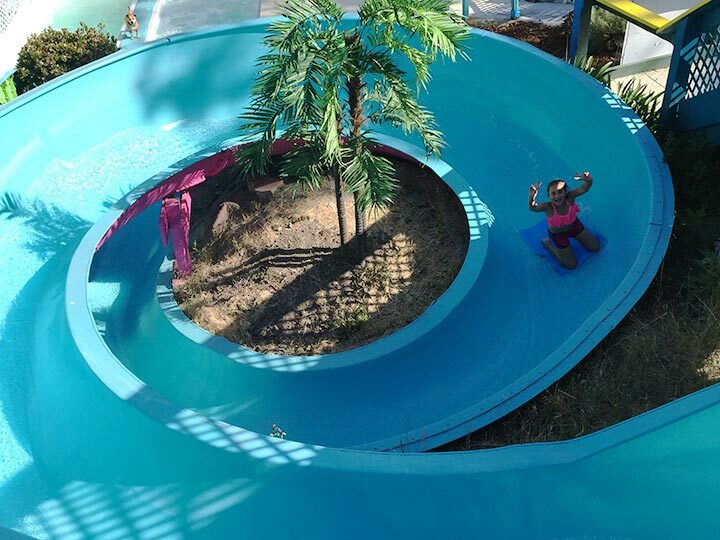 Coolers, food, alcohol or beverages may not be brought into the waterpark facility. 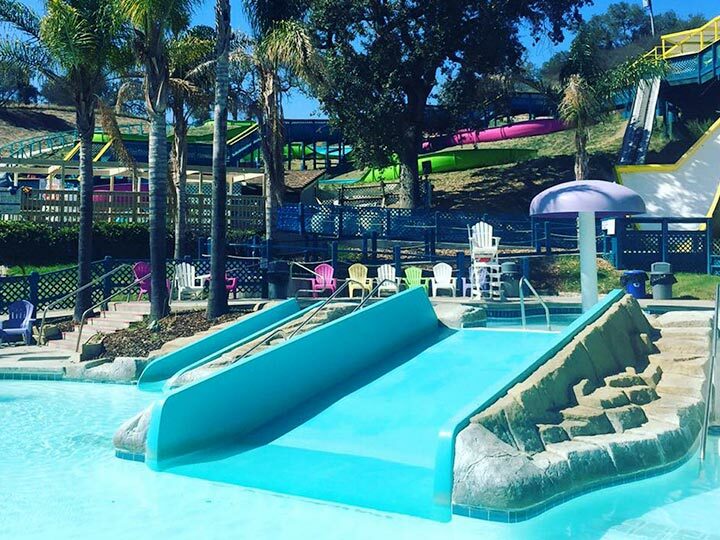 Your little ones can safely slide and splash, in two inviting wading pools for kids age 9 and younger, three mini-slides and two waterfall trees. 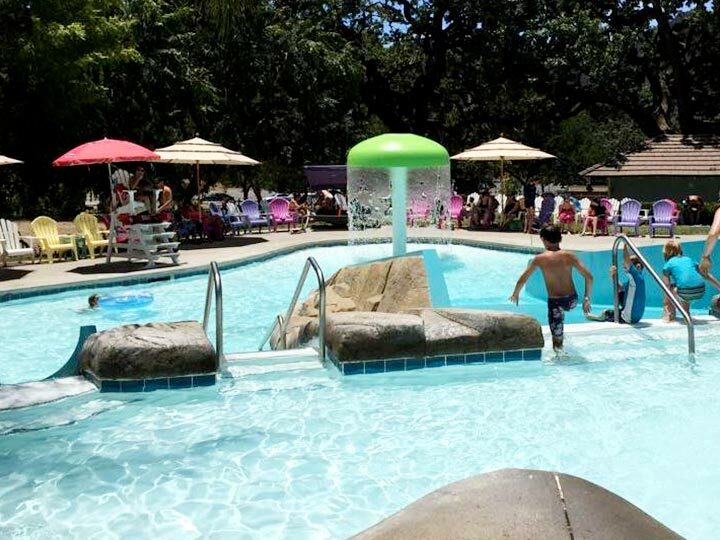 Parents can splash with their youngsters or sun themselves on the deck while the kids have fun in the water and are safely entertained for hours. 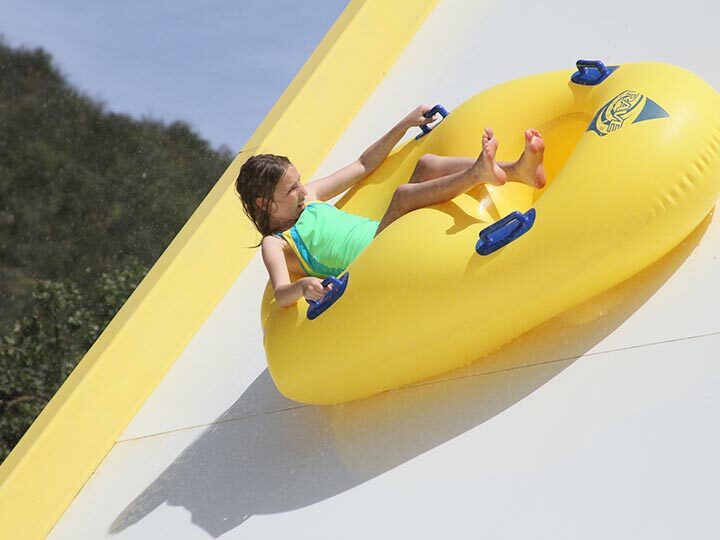 Clean and safe changing rooms, lockers & life jackets are available for your convenience. 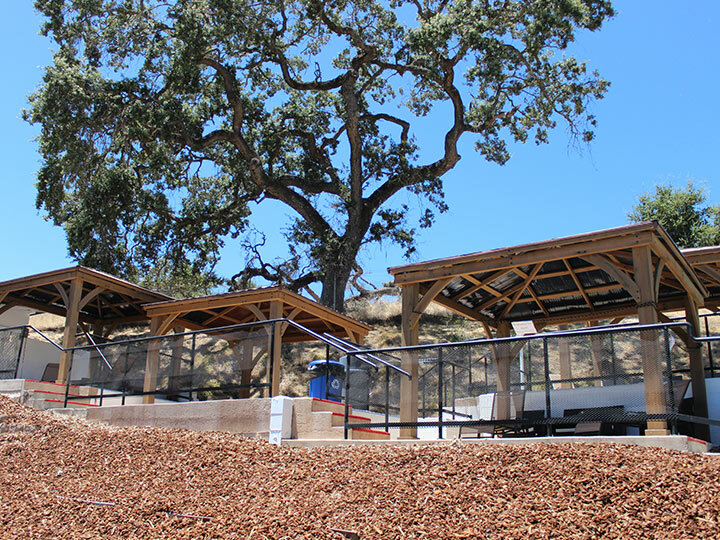 Picnic areas are available in the campground outside our gate. 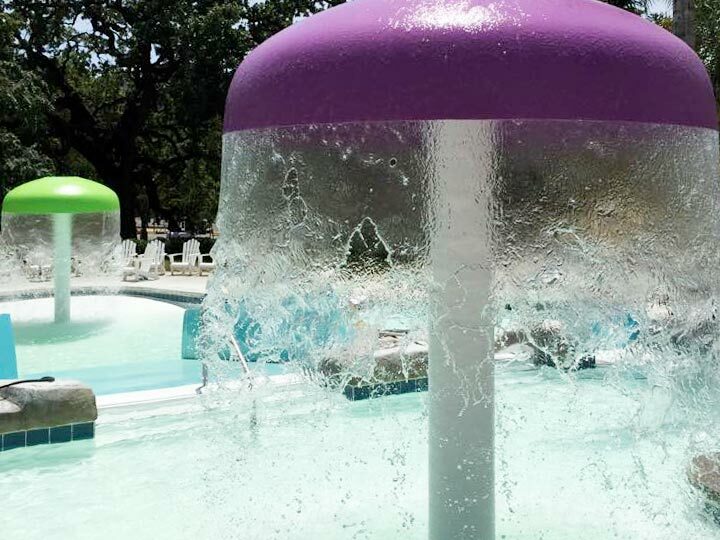 Coolers, food, alcohol or beverages may not be brought into the waterpark facility. 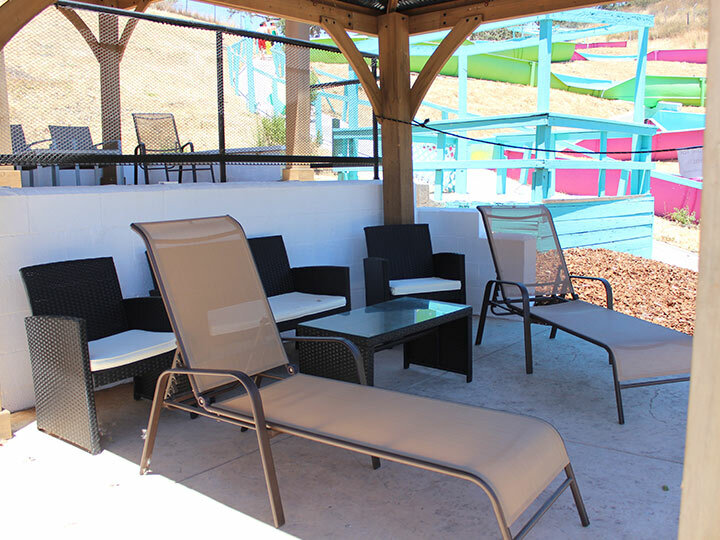 Reserve a private cabana area so you can kick back and relax in comfortable lounge chairs and have food service delivered right to your table! 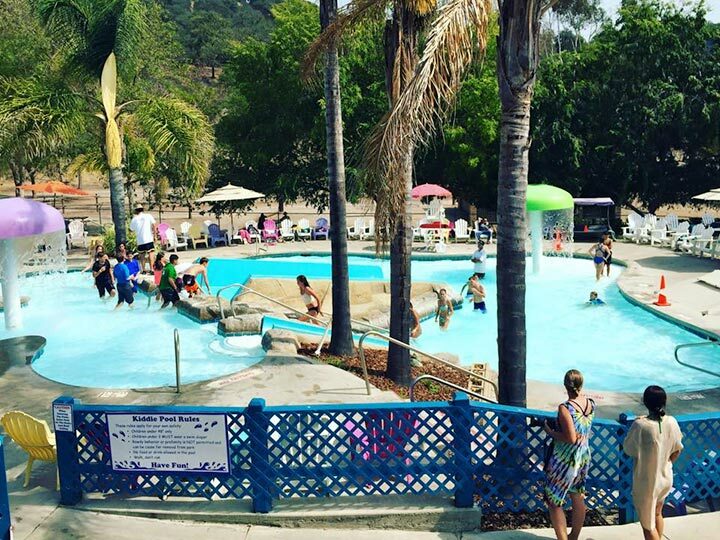 Want to explore Lopez Lake Recreation Area? Forget about walking… hop onto a mountain bike or pedal-powered kart and hit the road in style! All rentals require a deposit, and ID is held until the rental is returned. 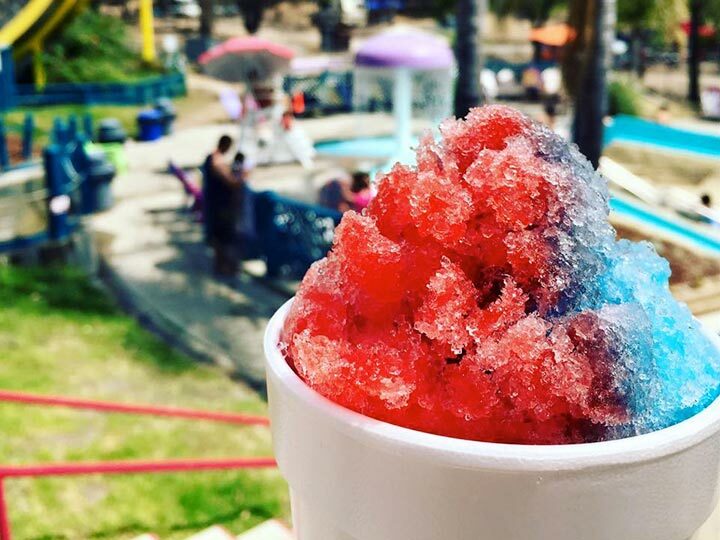 We have a snack bar with everything from hamburgers, hot dogs, chili dogs, nachos and salads to chips, candy, ice cream, iced coffee and snow cones.